I used to read about the old FARMS/Signature Book controversies and wish that I had been old enough (and involved enough) to follow the controversies when they were happening. Recent events, however, have given my “generation” of apologists (if you will) its own controversy to eagerly follow as it unfolds. For those who are unaware, let me briefly sketch some recent events. First, a couple of months ago John Dehlin emailed a General Authority friend (while cc’ing Dan Peterson) essentially asking him to put a stop to the publication of an article critical of Dehlin and his Mormon Stories project, along with his Open Stories Foundation (of which Mormon Stories is just a part) in the Mormon Studies Review (formerly the FARMS Review), which Peterson was then editor of. The paper was said to be a “hit piece” or an ad hominem attack simply not appropriate for an academic journal, though all those making such claims have not actually seen or read the paper. Dehlin’s efforts were apparently successful, and the whole forthcoming issue of the MSR was sacked. As far as I am concerned, this is about as far as the facts go – everything else is nothing but rumor and hearsay. The second event followed about a month later. An email exchange between M. Gerald Bradford and Dan Peterson was leaked out wherein Bradford indicated that he wanted to move the MSR in a new direction, and in order to do so he was removing Peterson from his position and installing a new editor. Once again, rumors have multiplied, but basically what is stated above is the extent of the facts. Such sentiment strikes me as extremely odd. Dehlin and his organization claim to be providing “online and in-person environments that allow for authentic self-expression and the open discussion of Mormonism.” Particularly, Dehlin’s podcasts often feature individuals in some way associated with Mormonism sharing their personal experience, or “journey”, with the faith and Church commonly branded as “Mormonism.” Are such personal narratives really not of interest to Mormon Studies? Furthermore, is a paper examining an online “Mormon” community of sorts, attempting to understand the “latent text” (more on this below) of the group’s founder really out of bounds for the “academic” study of Mormonism? I don’t think so. Here are just a few reasons. Last semester I took a Mormon Cultural Studies class at UVU. Among the readings for the class were papers (published in academic journals) on Mormonism (and religion) as portrayed on the cover Time magazine, South Park episodes that talk about the Church, the TV show Big Love, and the Book of Mormon musical. The object in each of these cases was to uncover the “latent text” – cultural studies lingo, which basically means uncovering the underlying message – of the show/magazine covers. The “latent text” is often juxtaposed with the “preferred text”, which is the intended (or explicit) message and the two can often contradict each other. Now, I have it on good authority that the paper on Dehlin set out to examine his explicit claims (the preferred text) to being “objective” and not trying lead people out of the Church, but shows that Dehlin does have a bias against the Church and is in fact subtly leading people out of the Church (the “latent text”). Now Smith may not use that terminology, but that is ultimately what the paper is – a study of the latent text versus the preferred text. Now, if the latent text (on Mormonism) of South Park and Big Love episodes is worthy of publication in academic journals, can you seriously argue that the episodes of an online podcast are not? I would argue that if one is acceptable, then so is the other. But perhaps this is beyond the pale of “Mormon Studies.” After all, none of the papers on South Park or Big Love, etc. were in “Mormon Studies” journals. But neither are several “Mormon Studies” articles (since, after all, very few such journals exist).The said articles are in journals dedicated to the study of religion and media, which would seem to fall within the broader category of “Religious Studies” (and “Media Studies,” for that matter). When the “religion” being studied, then, is Mormonism, wouldn’t that constitute “Mormon Studies”? Furthermore, let’s not forget the class I was reading these for – a Mormon Cultural Studies class. It does not seem too much of a stretch to suggest that Mormon Studies includes Mormon Cultural Studies. The Conference at UVU is of particular interest for a couple of reasons. First, John Dehlin not only operates online activities (such as his podcasts), but has created an online community. Such online “Mormon” communities were the subject of at least one presentation given at the conference. Rosemary Avance presented on the exit narratives of ex-Mormons from online forums, arguing that while they claim to have made their decision on the basis of rational inquiry and insist that their narratives are not “testimonies” (she didn’t use this terminology, but this would be the “preferred text”) they are in actually basing their decision, at least in part, on emotional responses to the “discoveries” they make, and their narrative is a type of testimony (again she didn’t use this terminology, but this could be called the “latent text”). This sounds just like the type of analysis Greg Smith is supposed to have made on John Dehlin and Mormon Stories. 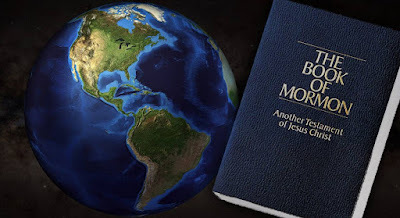 Second, John Dehlin himself presented at this conference on his “research” (an extremely flawed survey) on why Mormons leave the Church, a projected connected to his Mormon Stories podcast and Open Stories Foundation. It only seems fair that if Dehlin’s idea’s are worthy of presentation in an academic venue on Mormon Studies, then Dehlin’s idea’s are also worthy of critique in an academic venue on Mormon Studies, such as the Mormon Studies Review. My intent here has been to address one small part of the unfolding controversy. I do not purport to have settled whether stopping the paper’s publication was the right thing to do, and I certainly don’t pretend to know all that went into that decision or who all was involved. I have simply sought to address this simple question: Is a paper on John Dehlin and his work with Mormon Stories the type of study that should be included in an academic journal on Mormon Studies? I think the answer is yes. There is clearly precedent for such studies elsewhere in the academic field of Religious Studies, and even in the more narrow field of Mormon Studies. While I believe some questions might be able to be raised about the tone of Smith’s paper – but such questions could only reasonably be raised by those who have read it, and they as of yet have not expressed such concerns – the nature of his topic is unquestionably appropriate for an academic journal such as the Mormon Studies Review. In academics, when one sees the word "Studies" behind another word like "Jewish" or "German" or "Latin-American" or some such, usually one thinks of highbrow scholarship that illuminates the phenomenon under discussion. It is unusual, in my view, to see an article, let's say, in a Jewish Studies journal that sets out to prove why a living member of that ethnic and religious community is a dirt bag, turncoat, or what have you. You know what I mean? Take a look at Greg Smith's review of Laura Compton, for example. Essentially Smith intends to show you how Compton is a disloyal or bad Mormon. Scholarship is generally not about such explicitly partisan concerns. So, I can't say I am all that convinced by your argument. "It is unusual, in my view, to see an article, let's say, in a Jewish Studies journal that sets out to prove why a living member of that ethnic and religious community is a dirt bag, turncoat, or what have you." Except that isn't what Greg Smith attempted to do in his paper. Like Neal, I can confidently say that Smith's article never engages in the ad hominem tactic outlined here, and as claimed by Dehlin's supporters. Obviously I have not read Smith's piece on John Dehlin, nor are my comments simply a reaction to this situation. No, I have read what Smith wrote about Laura Compton, and that does not strike me as academic writing. So, say what you like about the unpublished Dehlin piece, but there is a track record here that does not really accord well with what one might expect to fall under the rubric "Mormon Studies." Smith's exposé of Compton doesn't represent such a field very well, and I am not confident that the Dehlin piece would have either. If you want "Mormon Studies" to be about internal squabbles between different members of the LDS Church, I suppose that is your prerogative. I would hope that it would aim higher than that, and probably avoid such non-academic exercises altogether. I agree with the OP that studies of online communities-- and even of latent texts vs. preferred texts-- are legitimate subjects for academic inquiry. However, when an academic journal studies the sociology of an online community, it's generally not with the intent of making a value judgment, but rather of illuminating broader social and psychological phenomena. That does not seem to have been the tone or purpose of the article in this case. The FARMS boys have made no attempt to deny that the article was an exposé rather than a sociological treatise. Certainly that appears to be the conclusion drawn by the General Authority who read portions of Smith's article and took action to prevent its publication (as I am reliably informed by someone close to these events). Put another way, the purpose of reviews like Smith's appears to be the drawing of battle lines. Most academics would agree that this purpose is outside the scope of the academic enterprise. 1. It wasn’t made clear in my OP at all, but this post was motivated by the claim being made on some internet blogs that Bradford would not have needed to actually SEE the paper G. Smith authored to say it was not appropriate for an academic journal. The reason, it is claimed, is that the very nature of the paper’s topic is not appropriate for an academic journal. My point is that the general nature of the topic and the type of analysis said to have occurred is entirely in bounds for an academic journal on “Mormon Studies.” Arguments about whether the tone of the paper or whether or not inappropriate “value judgments” were made are an entirely separate issue, one which would actually require a person to SEE the paper in order to make that determination. So, I feel those saying Bradford didn’t need to see the paper before squashing it are mistaken. I still don’t pretend to know the who, what, and why of the decision not to publish, nor do I pretend to know whether that was the right or the wrong thing to do. 3. With everything said in number 2 firmly in mind, I still wouldn’t be shocked to find that some value judgments are made in the paper. But that shouldn’t be a surprise. If the paper in fact argues that Dehlin feigns objectivity while in fact having biases (and letting those biases effect what he does), then it would at least be ironic – if not hypocritical – for the author of the paper to take on a pretense of objectivity. 4. Finally, let me just reiterate something I said toward the end of my OP. If Dehlin’s work, activities, and ideas are worthy of presentation in an academic venue (as they were at the UVU Conference), then it is only fair that critiques of his work, activities, and ideas – and, by extension, his methods and techniques for propagating said work, activities, and ideas – also be allowed in academic venues. One would certainly expect to find such critiques of related work in “Jewish Studies” journals and other such works. This could be said to be a type of “value judgment”, I suppose (though I’m sure that is not what C. Smith has in mind). The question, it would seem, is whether the paper by G. Smith is a responsible critique or whether it makes the type of “value judgments” that C. Smith says are not appropriate for academic discourse? But this question frankly can’t be answered or discussed except by those who have seen the paper. If/When the paper sees the light of day in some form and some venue, then I’m sure there will be lively discussions on this matter, people willingly defending both sides of the question. At present, I’m satisfied with simply saying what I set out to say in the first place: the paper can’t be judged as appropriate or not appropriate simply by the nature of the topic or by what you or I understand it to be through informants and hearsay. It must be read to be judged. At that is the long and the short of it. Everything I say may turn out to be wrong, and everything you say may turn out to be right. In the mean time, I am simply trying to argue against – and caution against – making hasty judgments in the absence of information. Thank you all for your comments and please feel free to take notice of little ole’ me anytime. Maybe the simple fact is that Bradford read the piece, thought it was fairly similar to past criticisms of the faith of other members of the LDS Church who became the special target of an apologist, and decided that he had had enough. Chris Smith is exactly on target with this: there is an easy case to be made for different kinds of academic studies of Dehlin (sociological, etc. ), but judging by past reviews in this journal, it would have been unusual if he had been treated to such a careful scholarly analysis. Again, I point to Greg Smith's piece on Laura Compton. I challenge you to make a case for this as a piece of scholarship that falls within a particular academic field. Rather, I would argue that the journal itself would be a wonderful object of scholarly inquiry into boundary maintenance in a major American sect. A number of the book reviews read like exercises in identifying heresy and heretics, that it would be rich with material for such a study. At present, all evidence from people who would know indicates that Bradford never read the article. Even if he did, however, that is irrelevant, as I am responding to people who claim he did not need to read it, not actually claiming he did not read it. As I said in the OP and my previous comments, I do not pretend to know all the ins-and-outs of Bradford's decision. Your continued insistence on "judging by past reviews" or even a previous article by G. Smith misses the sole point I am trying to make: that the paper itself MUST be read in order to be judged appropriate or not appropriate. I would also reiterate, once again, that my purpose in arguing as I am is to discourage such prejudgments. You and all the critics might be right, and me and all the apologists could be wrong. But we won't know that until the paper actually comes to light. Even then, I imagine that people of different persuasions will see things differently, but at least arguments one way or the other, at that point, can actually be informed by what the paper itself says. Well, I am simply happy that it wasn't published in the Mormon Studies Review. I would be very surprised if Greg Smith suddenly did something completely different to John Dehlin than he did to Rodney Meldrum and Laura Compton. If I were the editor of something called "Mormon Studies Review" and one of those pieces crossed my desk, I would have filed it in the garbage for the sake of the academic reputation of my journal, the Maxwell Institute, and Brigham Young University. I suppose you could be right, though. Maybe his critique of John Dehlin would have been a different kettle of fish altogether. Whether we will ever find out is a question I doubt anyone who has not read the piece before these events would be able to say. After all, he could always change it in anticipation of certain kinds of criticism. Is there a way to obtain a copy of Smith's paper? And I agree, something like this should not have MI's imprimatur on it. But it should not be suppressed. Neal, since the decision not to publish the article didn't come from Bradford, but rather from his bosses (i.e. Seventy and BYU President Samuelson, as well as the other Seventy who contacted him), I'm not sure it's relevant that Bradford didn't read the piece. Now, I tend to think that bosses telling a mid-level manager not to publish something is a compromise of academic freedom. At BYU, though, that's just kind of how things work. Academic freedom isn't really a thing. And to tell the truth, all institutions do a certain amount of policing of the things that get published under their auspices, lest the reputation of the institution be compromised. The Church does more than most, but it's far from unique in this respect. As for Smith's paper being sociological, I am extremely skeptical. That would be rather out of keeping with Greg's publishing history. I'd be interested to know who is the source of this assessment. Neal, Shawn McCraney stole my old address, I have created a new one: mormon-hatershow dt blogspot dt com, his does not have the hyphen and your link brings people to his "Heart of the Matter" show. Could you please change your link? Thank You.